What percentage of the brain we use? “Is it true that only 3 to 5 percent of our brain is used?” The answer is ‘No’. This statement is widespread, even amongpsychology and neurology students. What has led to the suspicion that 95% of normal brain does nothing? Several reasons exist. First, our brain is formed by natural selection. The growth and functioning of brain tissue is expensive, though they are only 2-3 percent of our body weight, they consume over 20% of the oxygen we breathe. less than 95% of brain during injury or disease almost always leads to disastrous consequences. Furthermore, studies show that no part of the brain can be destroyed by a stroke or head injury without this causing serious damage to vital functions of patients. The electricalstimulation of different places in the brain during neurosurgery failed to find any “peaceful areas” where a man has no perception, emotion or movements after neurosurgeons use these small streams (neurosurgeons manage to achieve it with conscious patients under local anesthesia because the brain has no pain receptors). During the last century we have witnessed the increasingly complex technologies designed toallow you to see what and how moves through the brain, using techniques for imaging the brain as electroencephalogram (EEG), positron emission tomography (PET) and functional magnetic resonance (FMR), the researchers were able to locate a huge number of mental functions in certain brain parts. With animals, and sometimes with people undergoing neurosurgical treatment, researchers can implant recording probe in the brain. Despite this precise delineation no calm areas expectingnew tasks to be assigned were found. In fact, even simple tasks usually require the help of the areas that are placed literally across the whole brain. Two other well-established principles of neurology create additional problems about the 5% belief. Those parts of the brain which are not being used due to injury or disease, generally arecharacterized by one of two things: either they weaken and disappear, i.e. “degenerate” or are absorbed by related fields who seek not used territory in order to colonize and used for own purposes. In both cases, unused brain areas which seek unused territory so that they can use it for own purposes. In both cases if a brain area is not used but in good condition it will not remain idle for long time. If there is no evidence of the fact that only 5% of the brain is being used, how this statement came out? This popularity probably is a consequence at least partly of wrong interpretation by the authors of scientific works of the early brain researchers. By calling huge percentage of the hemispheres of the human brain “silent cortex”, the early explorers may have encouraged the mistaken impression about what scientists today call “associative cortex” has no function. As we know today, the associative cortex has a vital importance for our speech capabilities, for our abstract thinking and for execution of complex sensory motortasks. Similarly, admirably modest confessions of early researchers about not knowing what 95% of the brainmakes, probably contributed to the myth that it does nothing. 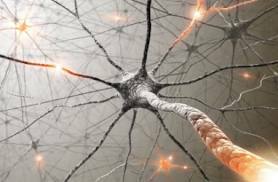 Another possible source of this confusion may have been a wrong understanding by non-specialists about therole of glial cells – brain cells, which outnumber neurons more than 10 times.